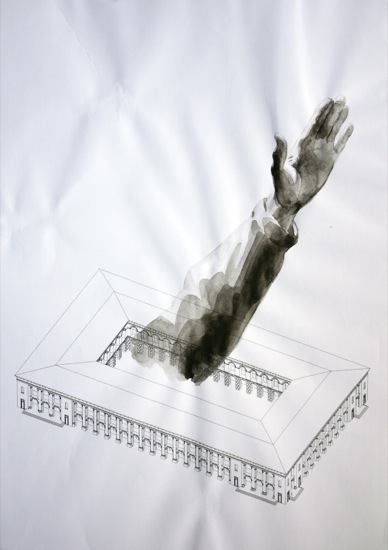 Nikita Kadan works with painting, graphics, and installation, often in interdisciplinary collaboration with architects, sociologists and human rights activists. His practice is a critical investigation into the experience of present-day Ukrainians and their relationship to their Soviet past. He is a member of the artist group REP (Revolutionary Experimental Space) and founding member of Hudrada (Artistic Committee), a curatorial and activist collective. 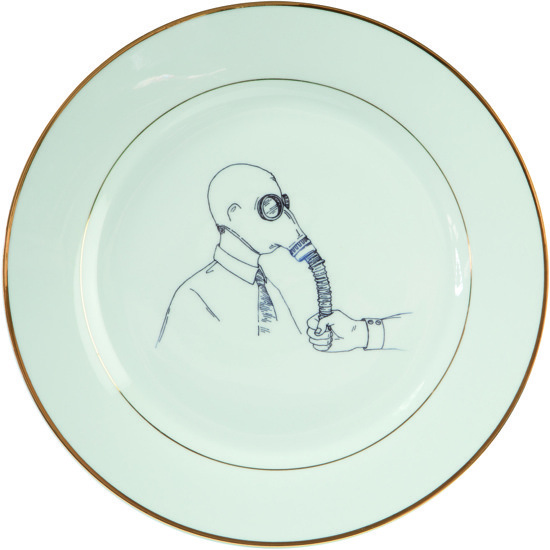 Kadan’s work has been exhibited internationally, including exhibitions at Kiev Biennale at Art Arsenal, CCA Ujazdowski Castle Warsaw, ZKM Karlsruhe, Pinakothek der Moderne Munich, Castello di Rivoli, 55 Biennale di Venezia, DAAD Galerie Berlin, and Saatchi Gallery. He was nominated for the PinchukArtCentre Prize in 2009 and won it in 2011. 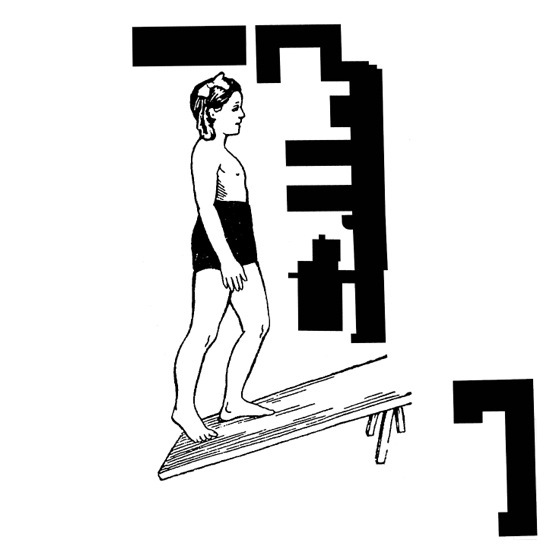 A bilingual publication on Kadan’s work will appear in spring 2015. Limits of Responsibility is inspired by the protesters’ camp on Independence Square, Kiev, which came under threat in the spring of 2014. 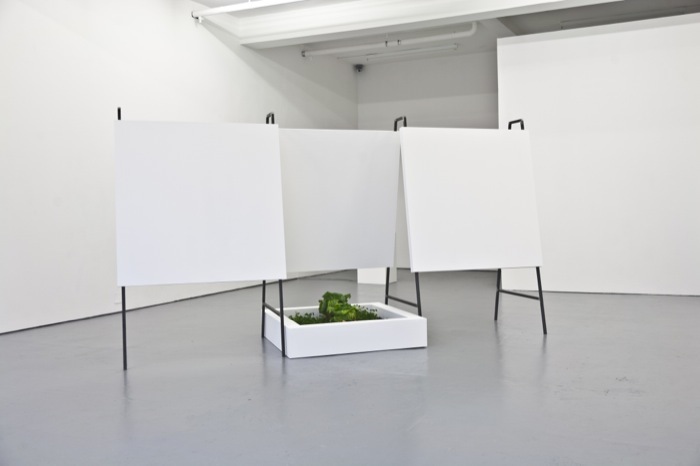 The body of works draws on the ‘Maidan gardens’ planted by protestors around their barricades whilst occupying the public space, with a series of colour slides depicting protests defending the occupation against its scheduled removal. 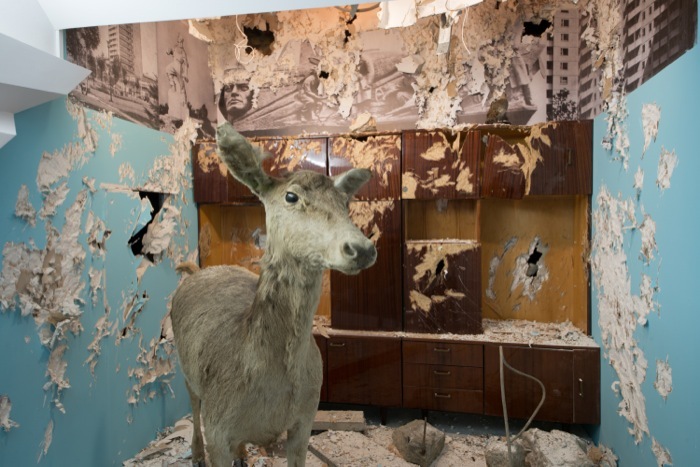 The project also references Soviet agricultural propaganda from 1979, re-claiming imagery from the by-gone regime in the name of present day protestors and activism. Procedure Room explores police torture, a widespread practice in contemporary Ukraine. One could also say that this project is about the body, as something personal, something private, and as something that exists for the public good, entrusted to uniformed professionals. 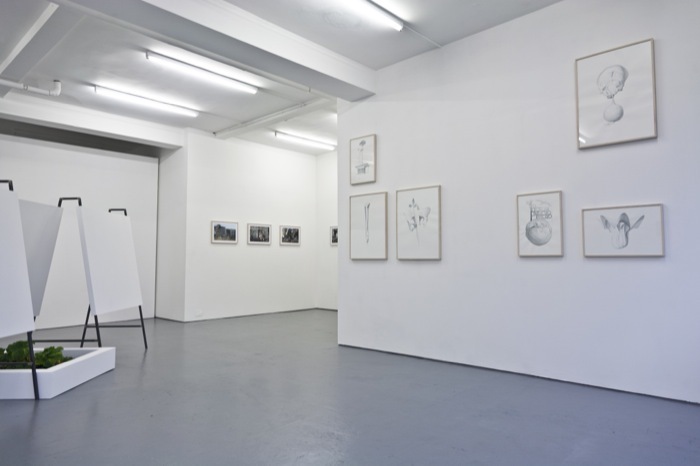 The didactic character of these drawings addresses the collective responsibility of all those who know and remain silent, bearing the guilt for what goes on 'in the shadows'. These instructions have been executed in the style of the "Popular Medical Dictionary" of the Soviet era, where one could often find illustrations of patient-characters with serene facial expressions, even though they are undergoing extremely painful procedures. 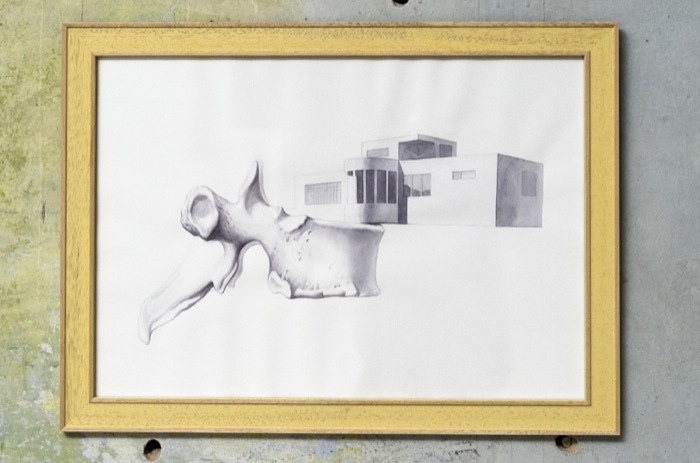 The Sell Out watercolour drawings depict hybrid structures, combinations of buildings with body organs. Renaissance city planners compared a city to the human body, with its parts having certain functions. In the dominant ideology of market capitalism this analogy becomes paradoxically up-to-date, revealing a new dispositif of corporeity. Like a body, under the market's influence the city turns into a set of separate organs each having its price. The structure of today's city is not shaped by the functionality of its parts, but by its commodity potential. The body of the city is dissected and offered for sale. 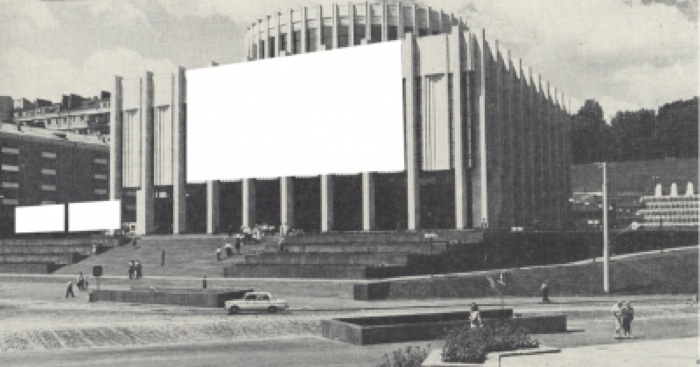 Project of Failure is a critical reflection on the history of Gostiny Dvir in Kyiv. Despite being listed as an architectural monument in 2012, it was nevertheless decided that this building in the city centre should undergo a restoration that violated its historic image. Several communities in the city opposed this decision and managed to occupy the building, organizing cultural activities and peaceful protest actions there. Forms of resistance then escalated, after extreme right-wing activists and parliamentary politicians joined the protests. Finally activists were beaten and banished by militia and reconstruction started. At first glance The Surfaces collages look like Suprematist compositions of coloured quadrangles on a white background. As the viewer comes closer, the light grey pencil drawings of city landscapes become visible and the bright geometric surfaces become recognizable as advertisement billboards, banners on light boxes that occupy huge parts of the cityscape. The Catalogue of Opportunities consists of six light boxes with photographs of cityscapes from old Soviet architecture magazines. The artist transformed the original images by cutting out the parts of the buildings that nowadays are covered with commercial advertisements. 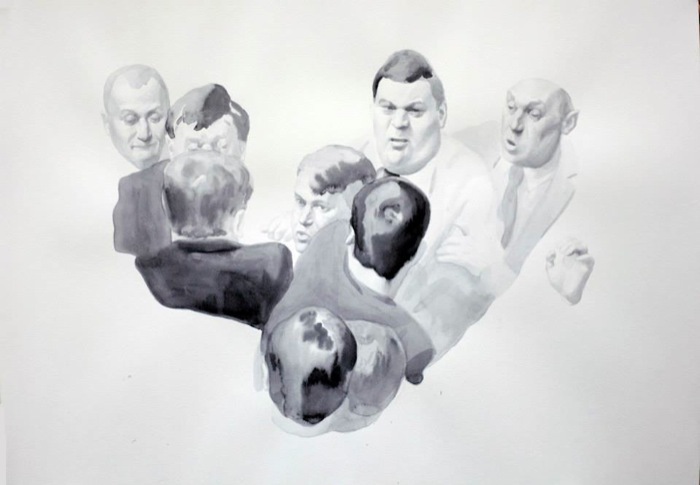 The motivation behind the work comes from the artist’s awareness of the prevailing spirit of change in post-Soviet society. In a way the Soviet public sphere is helpless and cannot protect itself from aggressive privatisation, such as the invasion of advertisements in the streets. 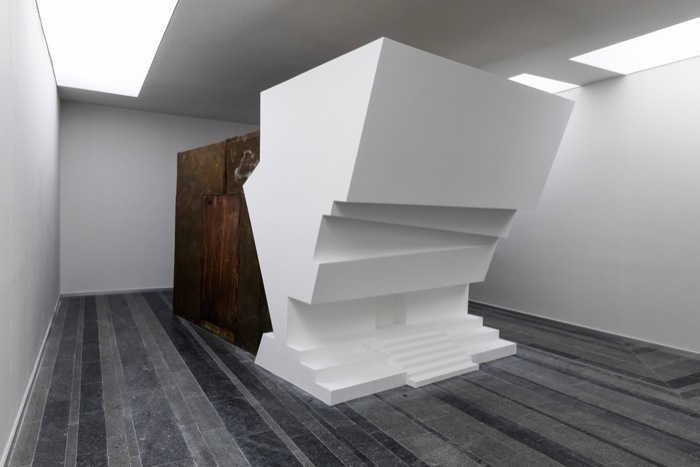 Babooshka (Ensuring the mausoleum) is dedicated to the people of the Soviet era, the creators of the most powerful non-capitalistic modernization of the past century. They are senior citizens who are barely tolerated as modern society parts with its Soviet past. This work is also about the famine and violence at the base of socialist modernization and the minimum provision that was practiced behind its facade. Currently, the image of this modernization is strangely being transformed into utopian ideas of social protection and ascetic lifestyle (which is environmentally conscious and non-consumerist). This utopia is possible to discern in these older people. They appear to become its burial, a living mausoleum. 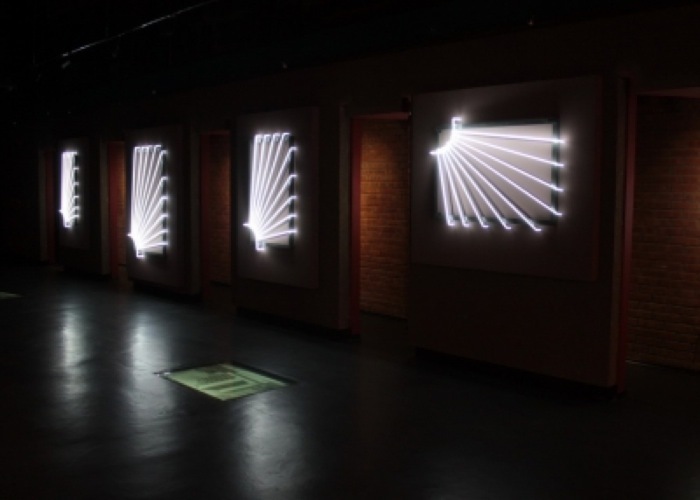 The incandescent rays of light in Private Suns reflects an aura of freedom – which is increasingly being reduced in public space – from a private space. The visitors remain outside the utopian horizons created by the shining image of the neon suns of a post-socialist metal grid, where others have sought to find a new dimension. 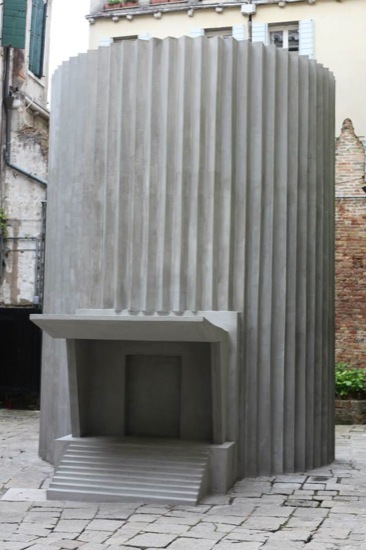 Small House of Giants is a combined object and architectural collage. It consists of a residential trailer for builders from the1970s and a modelled façade, a reference to the Soviet neo-modernist architecture of the same period. Small House of Giants is a reflection on the shifting social role of the worker within the new capitalist environment in Ukraine. This found object also opens up a critical discourse on the fictive heroic position that workers held in the Soviet past. 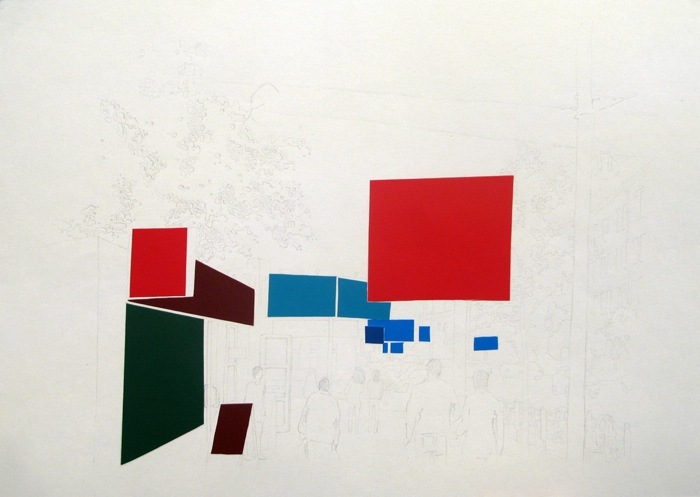 Fixing consists of five light boxes, with images combining medical drawings from a 1950s Soviet medical encyclopedia and “Suprematist” forms of architectural planning. 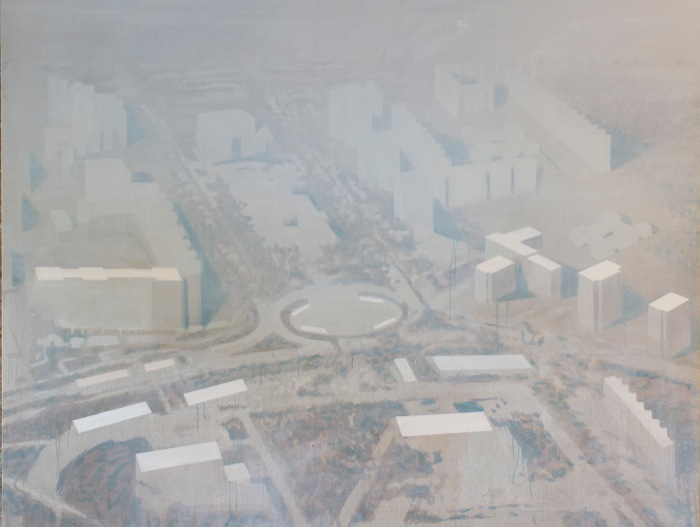 In these images the urban development plans become an instrument of forced limitation on the citizen’s body. Built in the Soviet era, the Kiev metro system was, just like the Moscow metro, an ideological space, standing in contrast to Western metro systems, which are more or less exclusively utilitarian. It was conceived as a subterranean public pleasure dome, with vaulted-ceilinged halls, and decorations full of symbols. In the post-ideological time of the last two decades, the metro has joined the list of spaces opening themselves up to invasion by liberated commercial interests. Today the metro station halls have become advertising space, with the monumental scale of these former ideological palaces now serving competing advertisers. 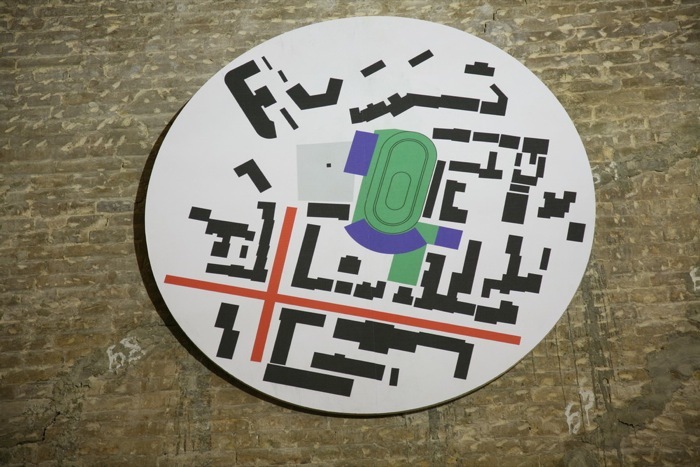 Neoplasm consists of an installation with eight circular maps of city areas where public space has been ruined by new-built private enterprises: shopping malls, offices and luxury buildings with underground parking. The maps are a result of the research of Kyiv recent city transformation processes. These maps refer to geometric abstractions of the Soviet avant-guarde, especially to the Proun works of El Lissitzky. 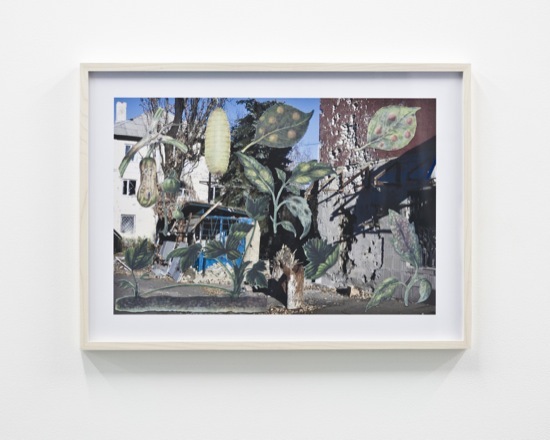 They emerge like new Prouns, representing capitalist transformations of post-soviet cities and questioning the relations of utopian views from the past and post-utopian conditions of the present.